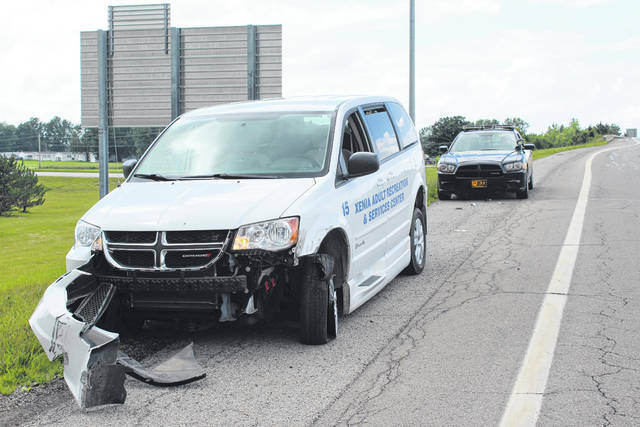 No serious injuries were reported from an accident involving a semi on Wednesday afternoon on U.S. Route 35 south, just before the Walmart exit. One person was taken to Fayette County Memorial Hospital following the crash by EMS and the Fayette County Sheriff’s Office responded to the call. https://www.recordherald.com/wp-content/uploads/sites/27/2018/06/web1_IMG_2788.jpgNo serious injuries were reported from an accident involving a semi on Wednesday afternoon on U.S. Route 35 south, just before the Walmart exit. One person was taken to Fayette County Memorial Hospital following the crash by EMS and the Fayette County Sheriff’s Office responded to the call.